Karaite scholar of the first half of the eighteenth century; father of Simḥah Isaac, author of the "Oraḥ Ẓaddiḳim." 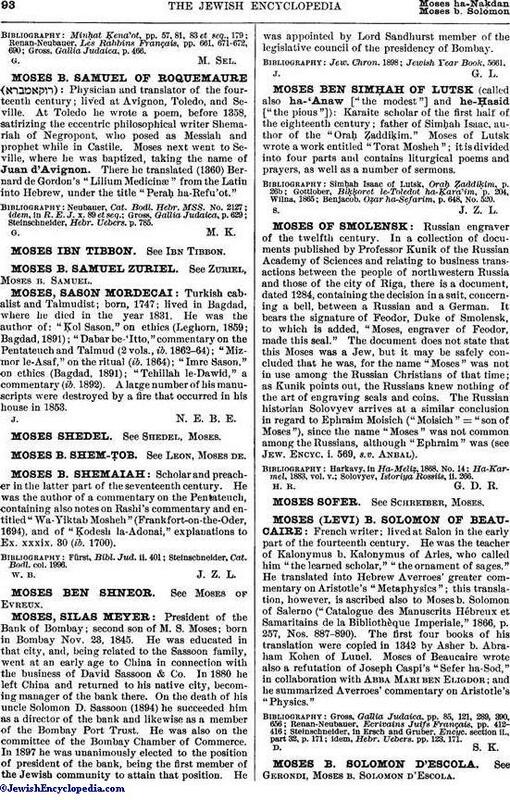 Moses of Lutsk wrote a work entitled "Torat Mosheh"; it is divided into four parts and contains liturgical poems and prayers, as well as a number of sermons. Benjacob, Oẓar ha-Sefarim, p. 648, No. 520.